Buddhism claims that present reality is absolute. If you open the eye of the heart, you'll see that samsara is paradise. So there's no need to look elsewhere for the absolute world; simply strive to open the eye. And once you do, you'll see that a great sun lights all the universes and beyond. If you perceive this correctly, you'll realize that wherever we sit, wherever we stand, wherever we go — everyplace — is the world of the absolute. 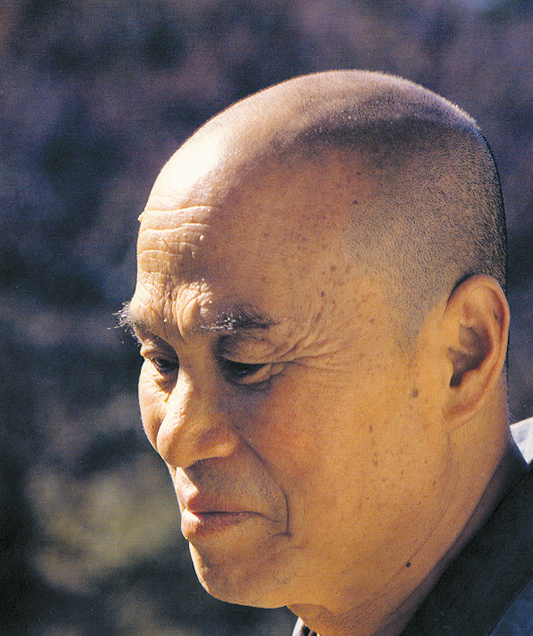 Tong Songchol (1912~1993), also SeongCheol, one of the great Zen masters in the last century was also called the Living Buddha of Korea.